With us this week is Simon Majumdar, a very highly-regarded food critic and television personality (Cutthroat Kitchen, Iron Chef America). Today, Simon shares his faith, his transformative story, and his hunger for continued good work with Convoy of Hope! Directed by Dr. Irene Messoloras, the Hour of Power Choir, with soloist Rory Deming, performs “Good, Good Father” (comp: Pat Barrett & Anthony Brown; arr: Bryan Sharpe). The choir is accompanied by Zeljko Marasovich on the organ, and Dr. Marc Riley and the Hour of Power Orchestra. 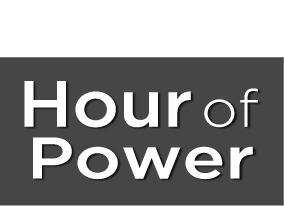 I really enjoyed watching the hour of power after a long break,god bless the ministry.